This page is dedicated to information on Refugee status and Humanitarian Protection in the UK. An asylum seeker is someone who has applied for asylum and is waiting for a decision as to whether or not they are a refugee. In other words, in the UK an asylum seeker is someone who has asked the Government for refugee status and is waiting to hear the outcome of their application. What is a bogus asylum seeker? There is no such thing as a bogus asylum seeker or an illegal asylum seeker. As an asylum seeker, a person has entered into a legal process of refugee status determination, and every country in the world, including the UK, is responsible to consider the claim for asylum and grant protection to a genuine refugee. In other words, everybody has a right to seek asylum in another country. People who don’t qualify for protection as refugees will not receive refugee status and may be deported, but just because someone doesn’t receive refugee status doesn’t mean they are a bogus asylum seeker. Does the UK have more asylum seekers than most countries? Where do asylum seekers in the UK come from? What benefits do asylum seekers receive in the UK? The majority of asylum seekers do not have the right to work in the United Kingdom and so must rely on state support. Housing is provided, but asylum seekers cannot choose where it is, and it is often ‘hard to let’ properties which Council tenants do not want to live in. Cash support is available, and is currently set at £36.62 per person, per week, which makes it £5.23 a day for food, sanitation and clothing. In the UK, thousands of asylum seekers are held in immigration detention centres each year. Under the Detained Fast Track (DFT), asylum seekers are detained for the duration of their application and appeal. As a principle, UNHCR opposes the detention of people seeking asylum, and calls for the use of alternatives wherever possible. In 2012, of 21,843 main applicants for asylum, 11.4% (2,482) applicants were detained under DFT. In 2011, 10.7% of asylum claims were accepted onto DFT. In 2013, 203 children were detained in immigration removal centres, with 155 being under the age of 11. 1st Citizen Lawyers are available to offer specialist advice and representation for your claim of asylum. We are also able to challenge the refusal in in an appeal hearing at the First and the Upper Tier Tribunals. Can the family members of refugees join them? If you are a family member of someone who has been granted asylum or humanitarian protection in the UK, you might be able to apply to join them (family reunion). The following relatives are eligible to apply for family reunion: ♠ Spouses, civil partners and unmarried partners; ♠ Children under 18; ♠ Parents, grandparents and other dependent relatives aged 18 or over. 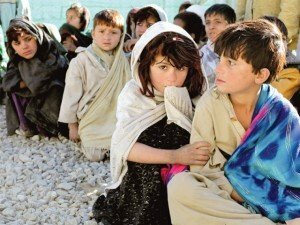 What is subsidiary or humanitarian protection? Humanitarian protection can be given to people who do not meet the 1951 Convention’s legal definition of a refugee but are still in need of international protection. ♠ the death penalty or execution; ♠ torture, inhuman or degrading treatment or punishment; or ♠ threats from an international or internal armed conflict. The UK uses the legal term humanitarian protection to meet this Directive, and in 2013 granted 53 people humanitarian protection. A further 540 applicants were given ‘discretionary leave to remain’, a form of temporary permission which is unlikely to be more than three years. For specialist legal advice and representation for a claim for asylum and humanitarian protection or appeal, please call our immigration lawyers direct on 0203 4755 321 or e-mail info@www.1stcitizen.co.uk.